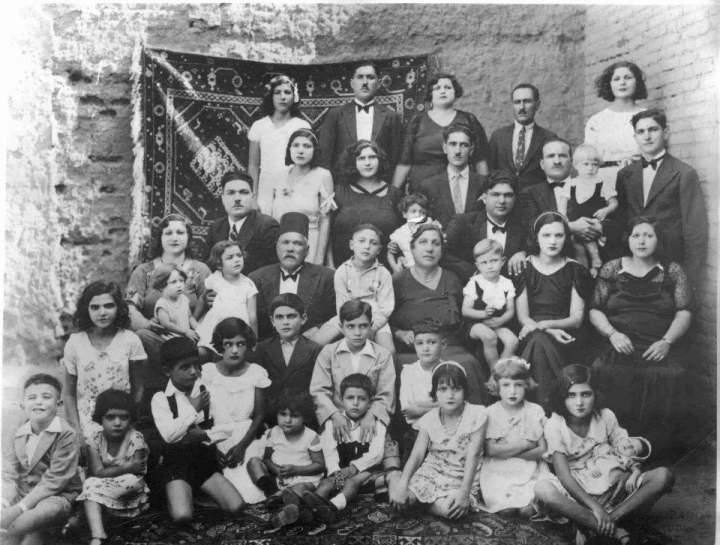 In this 1939 handout photo, provided by Tales of Jewish Sudan, Farag Shoua, center row wearing a Fez, a Jewish migrant and merchant from Egypt, sits with his extended family at an engagement party in Khartoum, Sudan. The expansion of commerce and the civil service under Anglo-Egyptian colonial rule brought some Jewish merchants and administrators from other parts of the Middle East and North Africa. 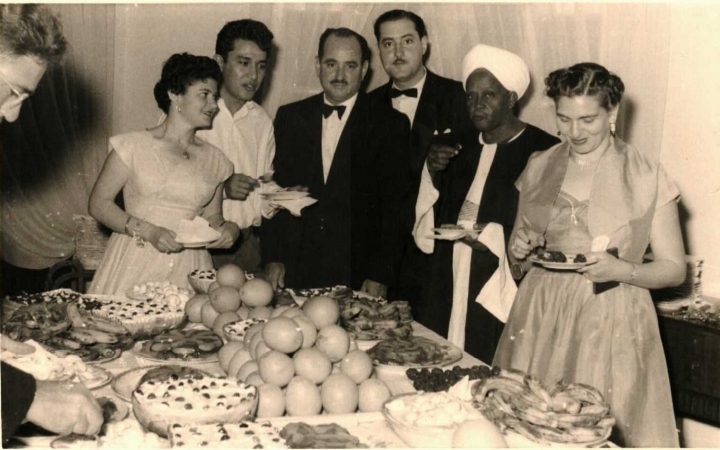 Sudan’s tight-knit Jewish community grew to about 1,000 people at its peak. (Photo courtesy of Daisy Abboudi via AP). TEL AVIV, Israel — Lily Ben-David gets emotional when she talks about her childhood in Sudan. 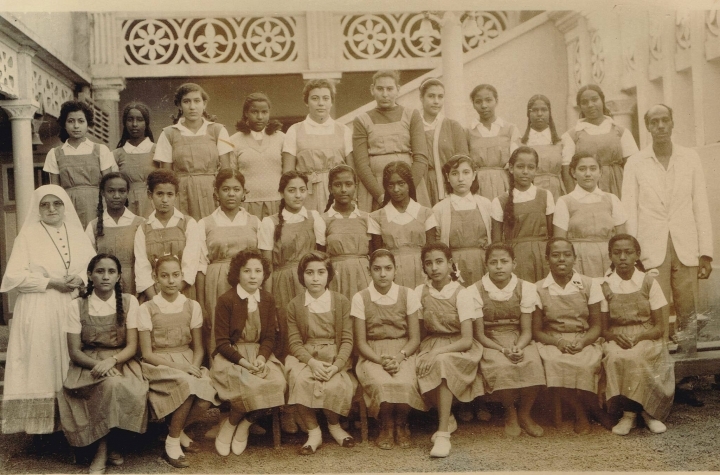 She still dreams of her school, the courtyard, the balcony and frolicking on the banks of the Blue Nile, even though it has been more than 50 years since she saw any of it. Sudan's Jews once made up the smallest Jewish community in the Middle East, a close-knit group of 1,000 people who enjoyed warm relations with their Muslim neighbors. But the establishment of Israel in 1948, followed by a series of Arab-Israeli wars, forced them to flee in the 1960s. Although Israel and Sudan are now bitter enemies, the remnants of that community retain fond memories of the northeast African country. "If I could get a ticket under an assumed name, I will go, honestly," the 71-year-old Ben-David, who left Sudan in 1964 and now lives outside Tel Aviv, said with a chuckle. 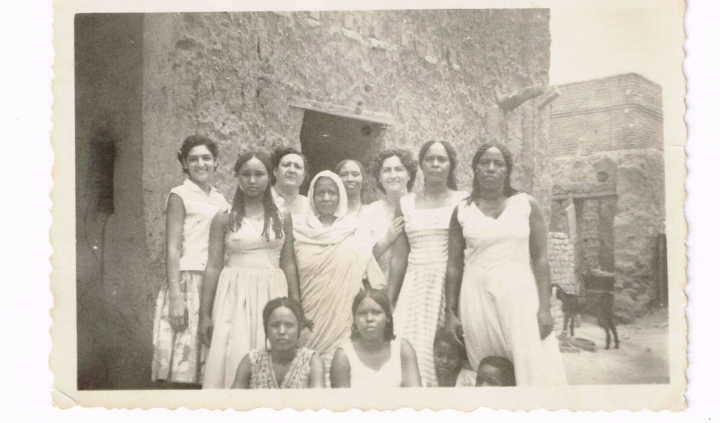 The history of Sudanese Jews has been largely unknown, even among world Jewry, until now. Over the last year, Daisy Abboudi, a British researcher and granddaughter of Sudanese Jews, has been working to record the stories of her forefathers. 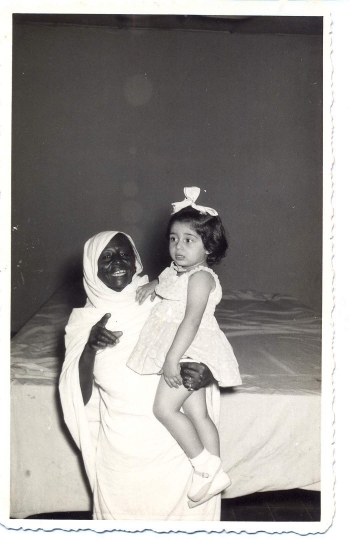 Adding to very few works on Sudanese Jews, she started the website Tales of Jewish Sudan, where she posts extracts of interviews with living members of the community. The stories, presented in the interviewees' own words, include the celebration of a Jewish holiday, a Miss Khartoum beauty contest and food recipes. Abboudi, 26, hopes to collect these stories in a book. The idea came to her during a discussion over dinner with her family on their life in Sudan. "We should keep these stories, we should preserve them," she recalled telling her family. "They are all getting old. If someone doesn't do it now, it's going to be too late," she said. Sudan was home to a few Jewish families in the 19th century during Ottoman rule. An Islamic uprising forced them to convert to Islam. The recapture of Sudan by an Anglo-Egyptian army years later allowed for converts to return to Judaism, though some remained Muslim. The expansion of commerce and the civil service under colonial rule brought some Jewish merchants and administrators from other parts of the Middle East and North Africa. The community grew to about 1,000 people at its peak, with most living in the big cities of Khartoum, Omdurman, Khartoum North and Wad Madani. 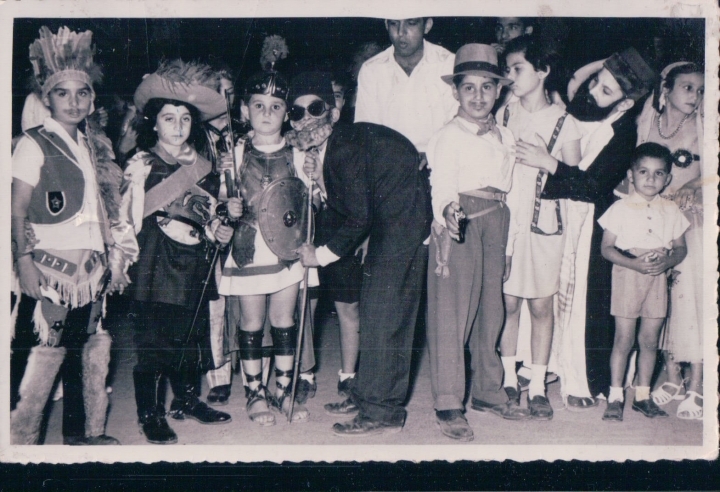 Many met regularly at Khartoum's synagogue or the city's Jewish Recreational Club. 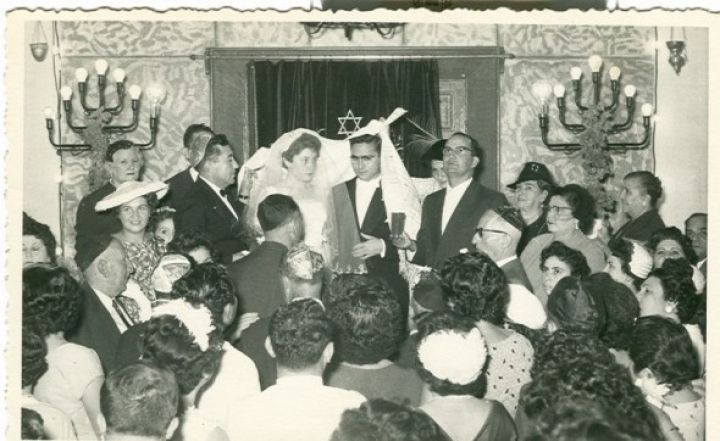 "We used to go to the synagogue on the Sabbath, celebrate New Year, and if someone was missing, someone would ask," remembers Regina Cohen, 70, who left Sudan in 1966 and also lives in Israel. Most had warm relations with the rest of society. David Gabra, 74, used to join his Muslim friends in fasting during Ramadan. "I used to fast Ramadan with the rest of the Sudanese, 30 days, so I can sit and eat with the rest when the cannon goes off," marking the end of the fast, he said. Yehoshoa Ben-David, Lilly's husband, warmly remembers his time at the University of Khartoum and walking to the nearby soccer stadium to support the "Al-Hilal" team. But the creation of Israel in 1948 and the Arab-Israeli wars made daily life uncomfortable for many Sudanese Jews. Anti-Israel protests erupted, and rhetoric at times became anti-Jewish, bringing on suspicion, hate and intimidation. Ben-David, 73, says he remembers when a crowd threw stones at his aunt's house in downtown Khartoum during the 1956 war. Just after the Six Day War, in 1967, things got even worse. 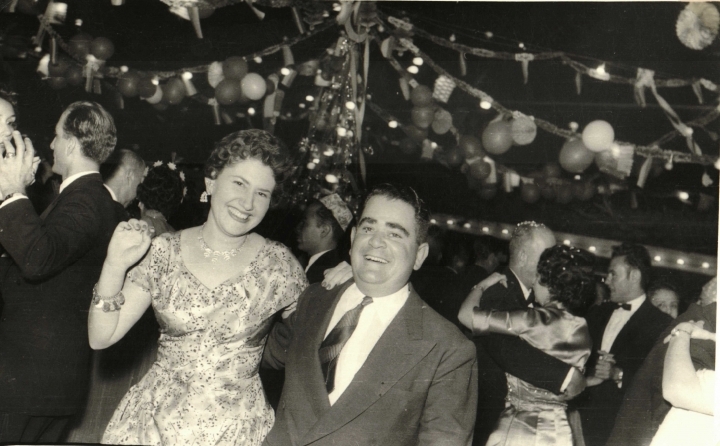 "They arrested all of the men, and even my mother was called in for questioning in the police station," said Ben-David, who said he left the country a week before the war. The nationalization of big businesses in the early 1970s added to doubts about their future. Feeling threatened and uncertain, most Sudanese Jews reluctantly decided to migrate to the United States, Britain, Switzerland or Israel, leaving their homes, shops, friends and wealth behind. Abboudi, who has interviewed 50 people for her project, summed up their experiences and memories as a mix of nostalgia, sorrow and bitterness. "It's a bit bittersweet when they look back because on the one hand it was such an amazing life but on the other, they were effectively forced to leave," she said. Robert Kramer, a professor of history at St. Norbert College, Wisconsin, who has written on Sudanese Jews, said he also has noticed the community's strong sense of identity. "The thing that really struck me the most about Sudanese Jews is that sense of nostalgia, a lot of them really felt Sudanese," Kramer said. Not much remains in Sudan of the Jewish minority: A handful of elderly people, a neglected cemetery, an old optician's shop sign. "I still have the taste of the water of the Nile in my mouth," said Cohen.